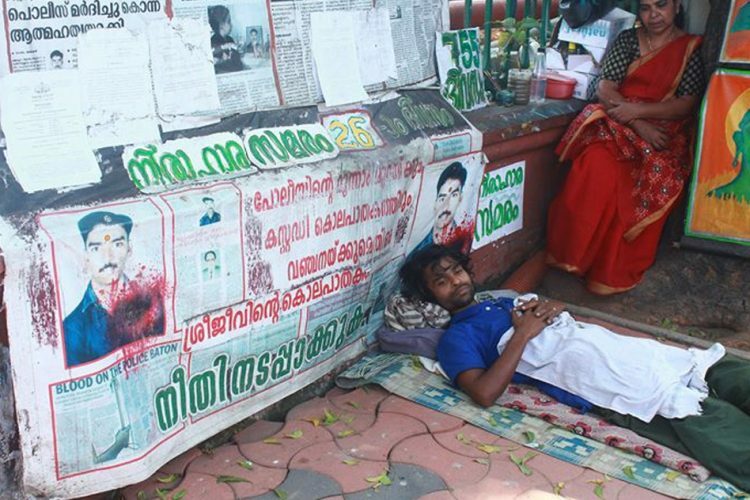 The protest of Sreejith Parassala, a 29-year-old man from Kerala, touched 755 days on Thursday as he continues his sit-in in front of the secretariat. He demands that the police officers who allegedly murdered his brother are punished. Sreejith does not want to end his protest till justice is meted out. 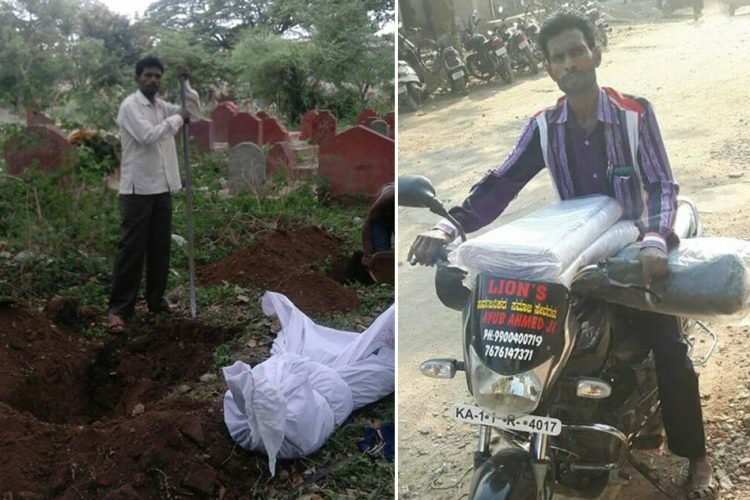 He says that his younger brother Sreejeev was killed when he was in police custody. “I have been protesting for 2 years and fasting for the last 25 days. Police forced me physically to go to the hospital. But I will not end my protest till they are punished”, Sreejith said to The Logical Indian. It was in 2014 that Parassala police had taken Sreejeev into custody for mobile phone theft. He died at the medical college hospital. The State Police Complaints Authority held a preliminary probe and found Parassala circle inspector Gopakumar and additional sub-inspector Philipose guilty. But the detailed police investigation could not find any shred of evidence of custodial torture. The government ordered a CBI probe, following the allegations. But CBI, after collecting all the primary details, seems in a dilemma. They are not sure whether to take over the investigation or not, says Sreejith. 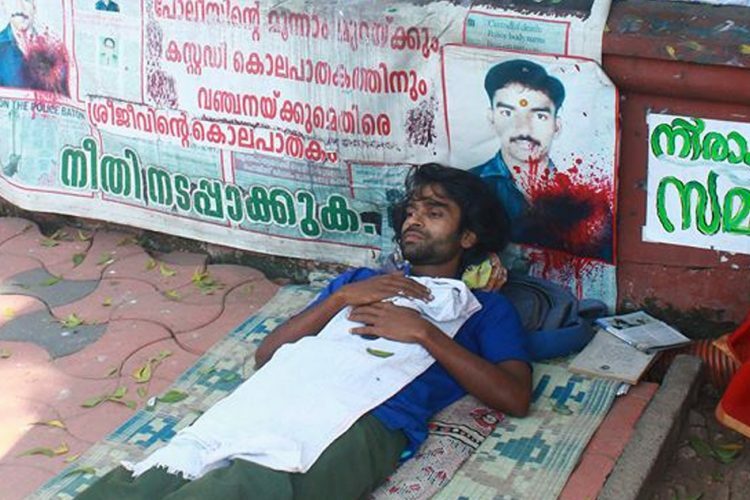 Sreejith told The Logical Indian that he would continue the protest at any cost. 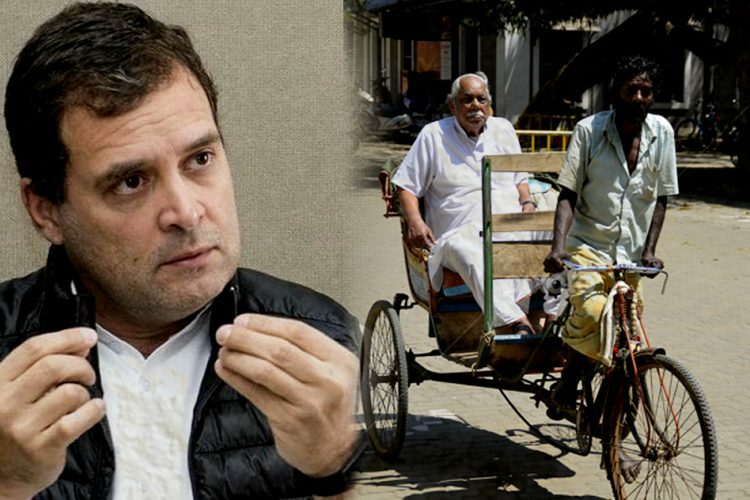 His family (mother, sister and a younger brother Sreeju, who met with an accident and suffering from physical disabilities) got Rs 10 lakh form the government. Ramani, Sreejih’s mother visits him during his protest, expressing solidarity with him. “I don’t want to trouble anyone, all I need is justice. I still believe that my brother died in police custody. I suspect a strong conspiracy among the police officers. We got the compensation, but I want them to be punished”, Sreejith affirms. He said that the authorities have noticed his protest and fasting; they forced him to be admitted to the hospital. But he says he will not leave the place until his brother’s perpetrators are brought to justice.